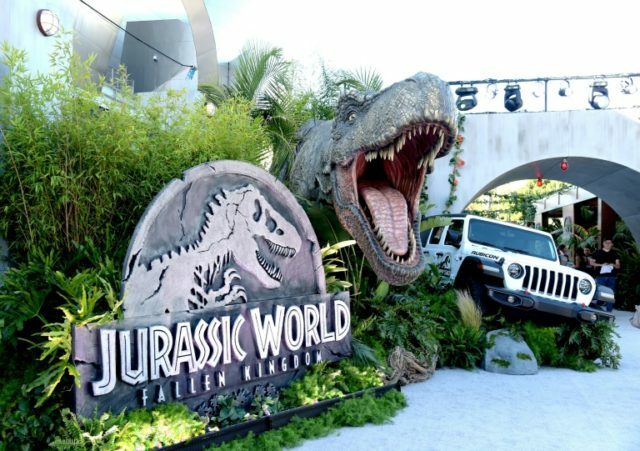 Hollywood (United States) (AFP) – Huge, green and scary stomped on cute, young and funny this weekend as “Jurassic World: Fallen Kingdom” debuted at $148 million to dislodge “Incredibles 2” from the top spot at the North American box office, sales data showed Monday. The dinosaur sequel — executive-produced by Steven Spielberg, who directed the original two movies — fell short of the then-record $208 million opening by the last “Jurassic” film in 2015, according to industry tracker Exhibitor Relations. The movie stars Chris Pratt and Bryce Dallas Howard as they try to rescue genetically recreated dinosaurs from a volcano-threatened island and move them to — why not? — a sprawling California mansion. Sliding to second, Pixar’s “Incredibles 2” earned a respectable $80.3 million as North American theaters continued to recover from last summer’s downturn. The film tells the story of the Parr family — centered this time on matriarch Helen (Holly Hunter) as she battles to help bring the world’s hiding superheroes back into the open. Husband Bob (Craig T. Nelson) is left at home in charge of their frighteningly talented but scarily unpredictable kids, and finds the homemaker’s job more challenging than being a superhero. In third spot was Warner Bros.’s heist movie “Ocean’s 8,” at $11.5 million. The female-centric sequel has Debbie Ocean (Sandra Bullock) assembling a gang of talented women (Cate Blanchett, Anne Rihanna, Helena Bonham Carter) to plan a seemingly impossible diamond heist from the Met Gala in New York. Adult comedy “Tag,” also from Warner Bros., came in fourth at $8.3 million. It tells the story of childhood pals, led by Jon Hamm and Jeremy Renner, who keep up a game of tag for decades, sometimes at the oddest of moments. Staying alive in fifth was “Deadpool 2,” the R-rated superhero flick from Fox, at $5.3 million. It stars Ryan Reynolds as the irreverent, foul-mouthed title character.